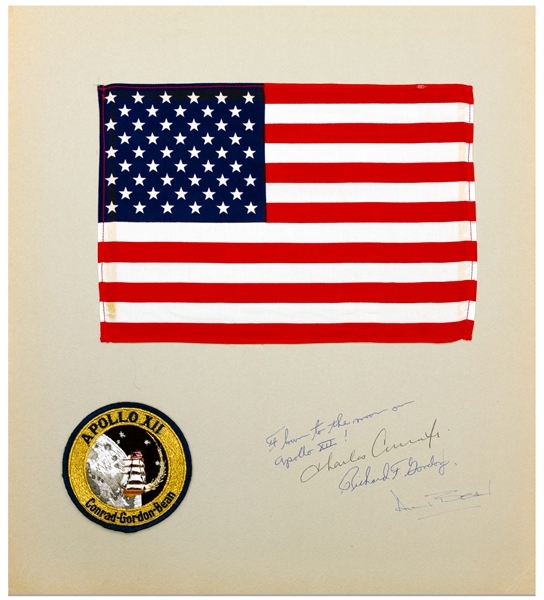 Large American flag, measuring 11.5'' x 8'', flown to the moon aboard Apollo 12, and affixed to presentation mat signed by the entire Apollo 12 crew. Mat, measuring 16'' x 18'', is additionally dedicated by Command Module Pilot Richard Gordon: ''Flown to the moon on Apollo XII! 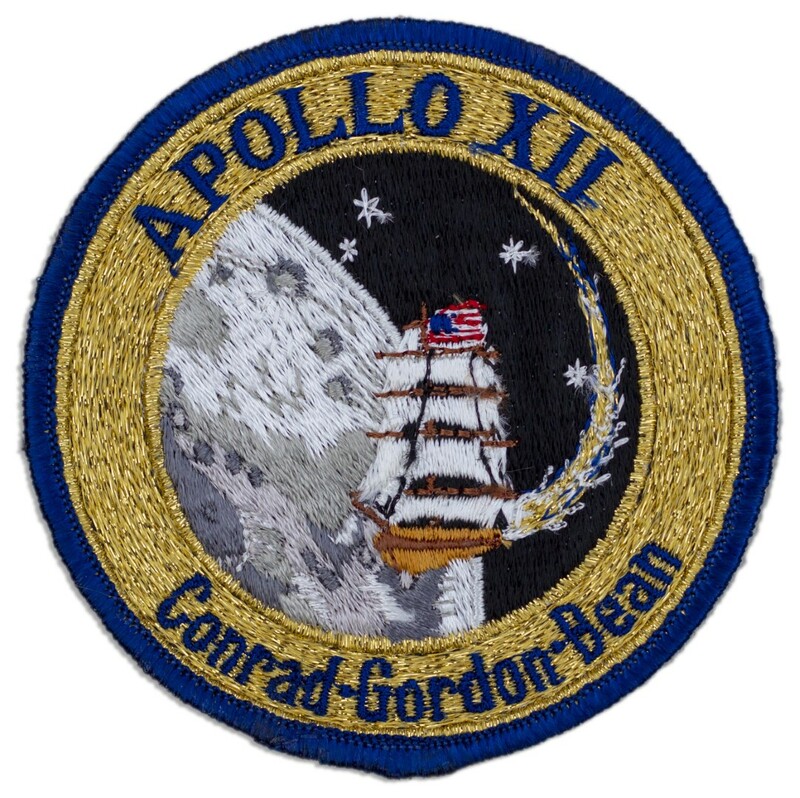 / Charles Conrad Jr. / Richard F. Gordon Jr. / Alan Bean''. Also affixed to mat is an Apollo 12 crew souvenir patch measuring 4'' in diameter, possibly flown. Light uniform toning to mat and mild show-through of glue on edges of cloth flag. 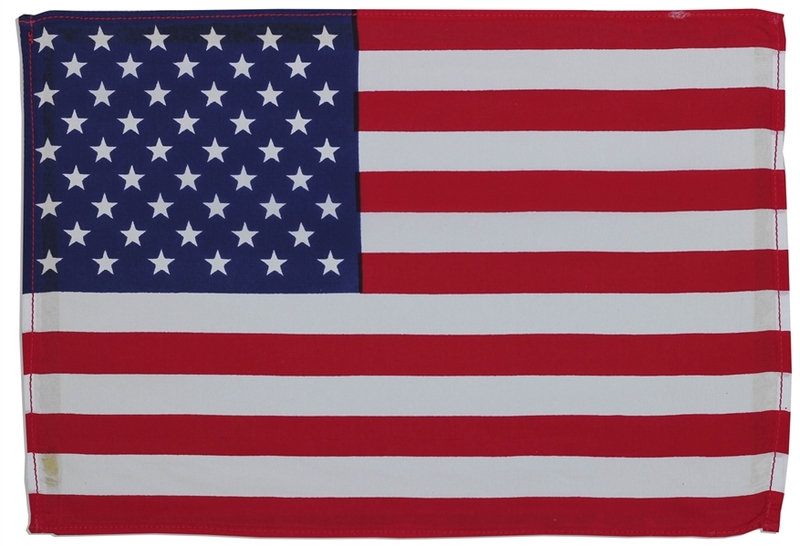 Flag is bright and displays beautifully, overall in near fine condition. 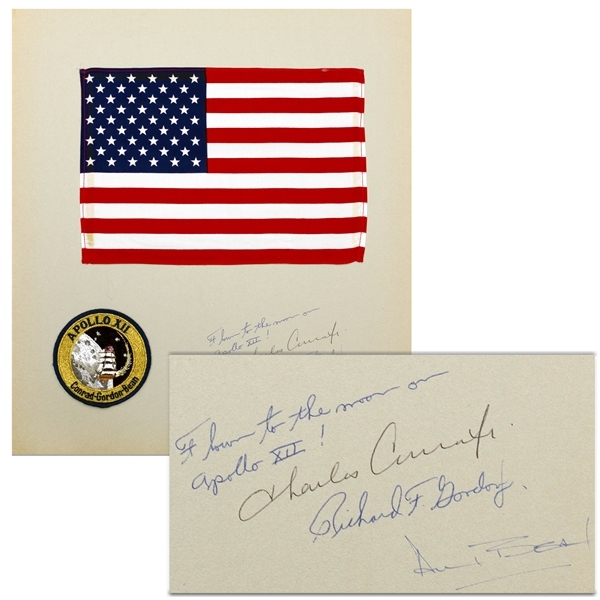 From Richard Gordon estate.